This is to inform the general public and all candidates who are yet to register for the 2017 WASSCE For Private Candidates that the registration deadline has been extended. The Registration which was expected to end on July 28th, 2017 has now been extended to August 11th, 2017. A Professor of Environment and Analytical Chemistry at the University of Ilorin, Folahan Amao Adekola, has underscored the need to preserve the environment and shun environmental pollution in order to avoid ozone layer depletion, global warming and climate change because the environment is key to a sustainable future. Prof. Adekola stated this penultimate Wednesday (July 12, 2017), while delivering the maiden lecture of the Association of Students of Peace and Strategic Studies (ASPASS), Centre for Peace and Strategic Studies (CPSS), University of Ilorin. The Lecture, organised to celebrate the World Environment Day, was themed “Connecting People to Nature; Protecting the World We Share”. The celebration was aimed at creating awareness on the importance of preserving biodiversity, identifying environmental related problems, proffering solutions to these environmental issues, as well as encouraging people to keep their surroundings safe in order to enjoy a more prosperous future. In his lecture, entitled “The Earth, Our Common Heritage”, the Guest Lecturer noted that pollution, climate change and over-exploitation are threats to nature, stressing that because environmental components are interconnected with each other in order to maintain a balanced ecosystem, any form of pollution in the environment causes the ozone layer meant to protect the earth from solar radiation depletion. Dr Adedimeji noted that because of the changes and dynamics of the constantly evolving environment, a way forward, especially for those in the Niger Delta, should be established so as to enable people maximise the use of the environment in such a way that oil spillage will not disturb the ecosystem that people's survival and livelihood are dependent on. Emphasizing the importance of the environment, the CPSS Director said, “Without the environment, there is nothing we can hang on to”. On his part, the President of ASPASS, Mr. AbdulFathi Arabi, disclosed that one of the mandates of the Association is to create awareness on the importance of peace and development in the environment in order to reduce the danger done to the environment because “the environment is the most precious asset given to mankind”. The Director of the School of Preliminary Studies, University of Ilorin, Prof. M. M. Akanbi, urged the participants to be mindful of their activities in the environment by looking out for one another in order to have a sustainable environment. Also in her remarks, the pioneer President of ASPASS, Sister Josephine Olagunju, stated that the Association has been able to achieve its aim of making students see what the Centre stands for. She submitted that a rally to the Government House should be organised in order to attract the government's attention to the environmental pollution on the roads. 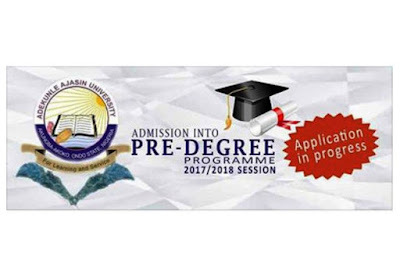 Applications are invited from suitably qualified candidates for admission to PRE-DEGREE PROGRAMMES of Adekunle Ajasin University, Akungba-Akoko, Ondo State, Nigeria for the 2017/2018 Academic Session. The Pre-degree programme lasts for one academic session. Each candidate who successfully completes the programme, after adequate counseling, will choose from the degree programmes listed hereunder. Placements would, however, depend on performance and available spaces. Candidates must also take the 2018 Unified Tertiary Matriculation Examination (UTME) to be eligible for consideration for admission into the University and must obtain a minimum pass mark as may be agreed upon by the University and the JAMB. Biochemistry, Chemistry, Industial Chemistry, Animal & Environmental Biology, Geology, Geophysics Mathematics, Industrial mathematics, Microbiology, Physics with Electronics, and Plant Science & Biotechnology. Biology Education, Chemistry Education, Computer Science Education, Health Education, Human Kinetics, Integrated Science Education, Mathematics Education, Physics Education and Technical & Vocational Education. 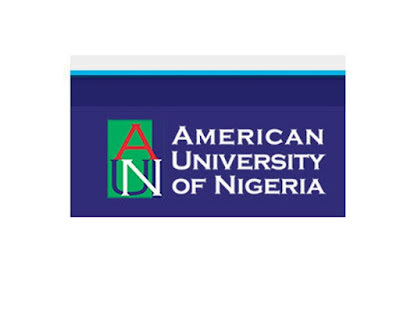 Linguistics & Yoruba, Religion & African Culture, Performing Arts, Yoruba, Linguistics, Philosophy & Religious Studies. 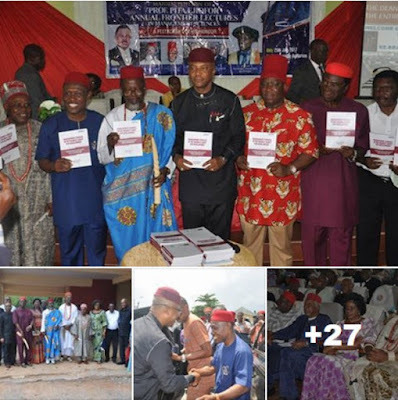 Adult Education, English Education, History Education, Religious Studies Education, and Yoruba Education. Geography Education, Social Studies Education, Accounting Education, Early Childhood Education, Guidance and Counseling, Economics Education, Political Science Education, and Educational Management. Agricultural Economics, Agricultural Extension & Rural Development, Animal Science, Forestry & Wildlife Management, Agronomy and Fisheries & Aquaculture. NOTE: Credit passes in English language and Mathematics are required for all courses. 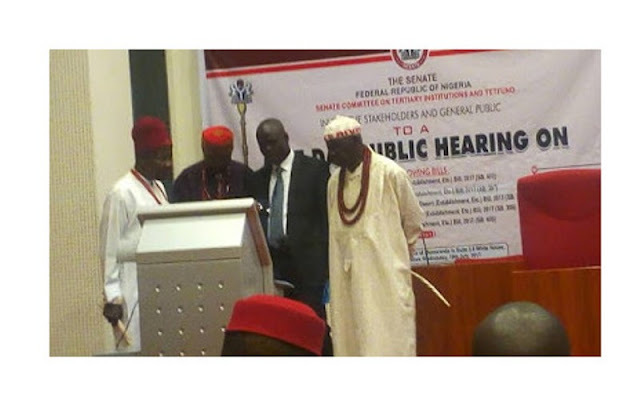 The five Credit passes must include English Language, Mathematics and Yoruba (for B.A. Yoruba) or any language (for B.A. Linguistics). 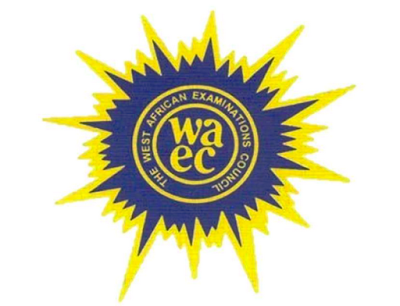 A minimum of five Credit passes at SSCE (NECO or WAEC) obtained at not more than two sittings. These must include Mathematics, English Language and three other Social Science subjects. Those willing to study GEOGRAPHY EDUCATION must have Credit in Geography in addition to two other subjects. (a) Admission to 100 level from Pre-degree is not automatic. 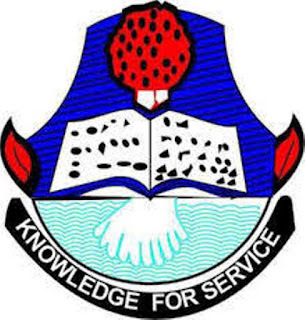 (b) Pre-degree candidates are required to take the 2018 UTME and obtain the minimum pass mark of UTME for Universities, and as agreed upon by the University. d. Obtain the e-Tranzact payment receipt at the point of payment which will contain receipt number and confirmation code. (i) Candidates are requested to log on to the University website: http:eportal.aaua.edu.ng and click on 2017/2018 AAUA Pre-degree Application. (ii) On the Pre-degree Application page, click on Application payment confirmation and supply e-Tranzact receipt and confirmation order numbers obtained from the bank to confirm your payment. (v) Candidates are to come to the Examination Hall with the acknowledgement slip..
 Candidates are to register online on the University website between 12th June, 2017 and 16th September, 2017.  Entrance Examination will be conducted on Wednesday, 20th September, 2017 for Pre-degree Agricultural Science, Science and Science Education and on Thursday, 21st September, 2017 for Pre-degree Arts, Arts Education, Social Science and Social Science Education candidates at the University premises by 10.00a.m. each day. 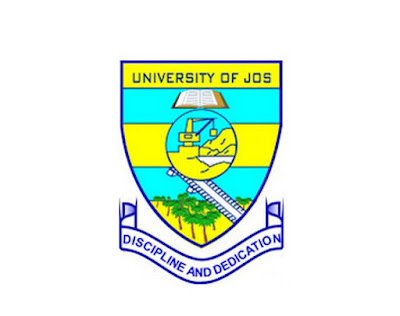 The Managements of the University of Jos has published the undergraduate students academic calendar schedule for the 2016/2017 academic session. See break down of the calendar below. Monday, 24th April, 2017 - Commencement of Lectures for 2016/2017 Session. Wednesday, 13th September, 2017 - Faculty Boards meet to consider First Semester Examinations Results. Sunday, 1st April, 2018 - End of 2016/2017 Session. 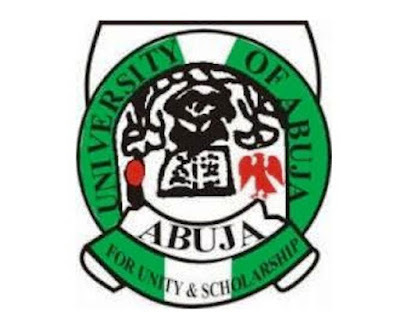 Applications are invited from suitably qualified candidates for admission into the University of Abuja [UNIABUJA] remedial programme for the 2017/2018 academic session. More Details on application guidelines can be obtained from the university Notice Board. The Nigerian Institute of Journalism, NIJ admission form into the institution’s National Diploma Programme in Mass Communication for the 2017/2018 academic session is on sale. Admissions into Higher National Diploma (HND) and Postgraduate Diploma programmes are also current in progress. 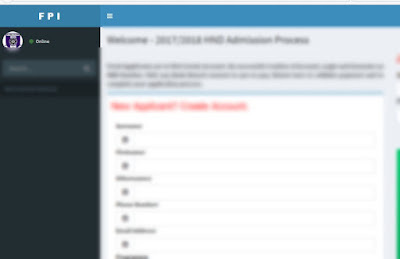 Candidates are to go to the admission portal at http://portal.nij.edu.ng/, choose the programme they want to apply for and fill in their information. Please be informed that you have just 30 minutes to complete application online. There may be data lost if more than that. You can always log in to continue your application before the deadline and don’t forget to print out the application slip when done. It may be asked for during your entrance exam. This year application for admission will close on Monday, July 31, 2017. All completed forms must be submitted online before this closing date. 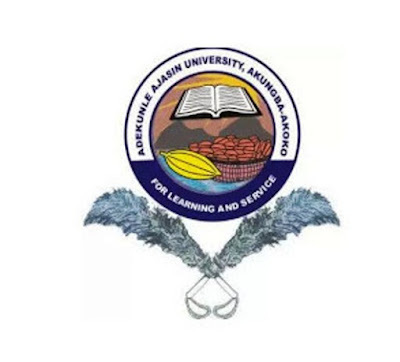 The Adekunle Ajasin University, Akungba-Akoko has approved and published the 2nd Semester Academic Calendar Schedule for the 2016/2017 Academic Session. 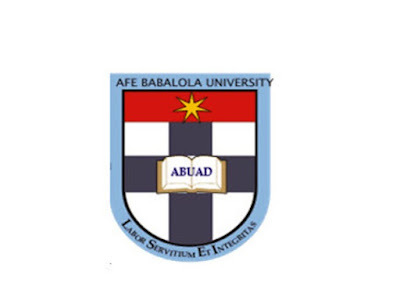 The Managements of the Afe Babalola University has released the Post-UTME undergraduate admission screening exercise results of all successfully screened applicants for the 2017/2018 academic session. Enter your email address and phone number in the spaces provided and click on “Pay Acceptance Fee Online now”. In the next screen, check and confirm the transaction details by clicking on “Confirm and Pay Now”. In the next screen pay with your ATM Card by clicking on “Select your card type”. Select your card type, enter your card number, expiry date, CVC2, card pin and click on “Pay”. Kindly print out the receipt of your payment if the payment is successful. With a successful payment, you can now download and print your admission letter. If you paid Acceptance Fee online and the payment is successful, you can proceed to the University student portal immediately (http://portal.abuad.edu.ng ) to set up your account and familiarize yourself with the University community as well as paying school fees. 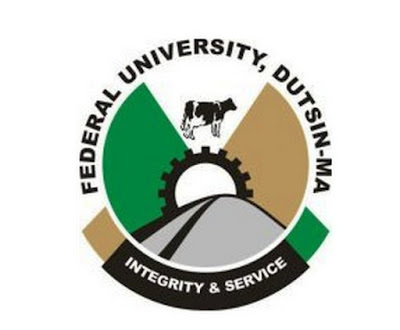 The Federal University, Dutsin-Ma School Of Postgraduate Studies has gotten approval by the Nigerian Universities Commission to commence academic activities. This is to inform staff and students, other members of the University community and the general public that the National Universities Commission has given approval to the University initiate the process of commencing activities at the School of Postgraduate Studies. As soon as all the approval logistics are concluded the forms will be on sale.